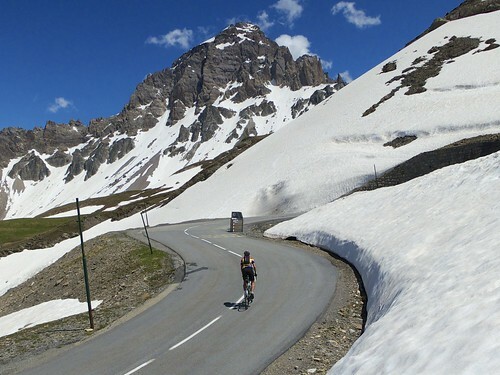 After a long, snowy winter, Galibier only opened a couple of weeks ago. On a perfect day, I decided to see how much snow was left. 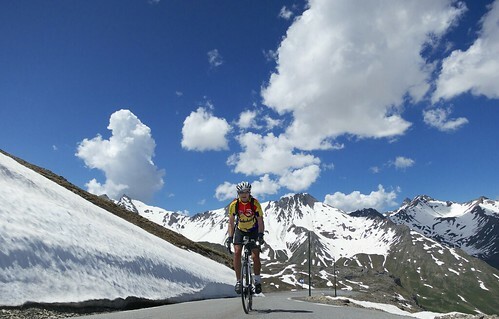 Last year I cycled Galibier at night to see the sunrise – see here. 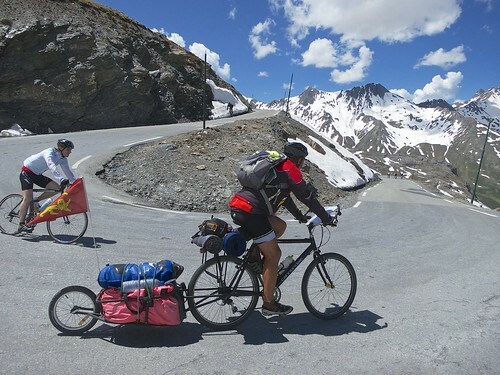 Many of the cyclists at the summit had cycled up the south side all the way from Bourg d’Oisans (base of Alpe d’Huez). Personally, I think it is a route to be avoided as it passes through 10 tunnels, a few quite long, dark, and wet – with plenty of fast traffic including trucks. No fun when going uphill. Whereas the route turns off the main road at Col du Lautaret for a great final 8.5 kms. I have included the south side profile all the way from Briançon – a better full south side choice than Bourg d’Oisans. 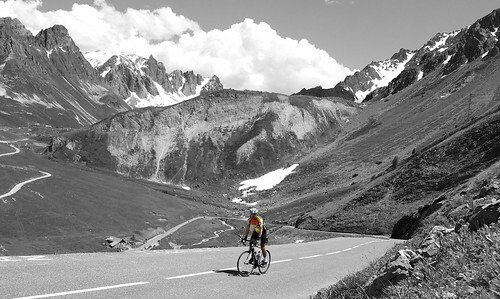 For a “brief history” of Col du Galibier — see here. Both Sides of the most famous climb in France? Great. Advice: Must do stretches are the entire North side including Télégraphe, and the South side from Col du Lautaret. GREAT website! Thanks for all the tips and photos. 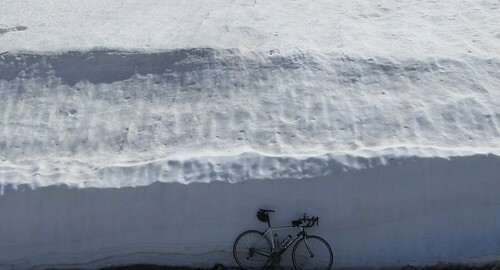 snow blocking cols,what do you think would be best time ,September would be early ,look forward to your reply. 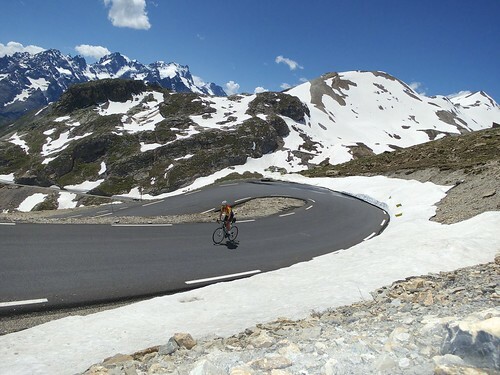 Both June and early September are “usually” great times to visit the high Alps. The one watch out: the very highest Alps climbs aren’t always open in early June. Iseran seems to always open last …. often mid-June. It of course depends, and there will be endless climbs open. 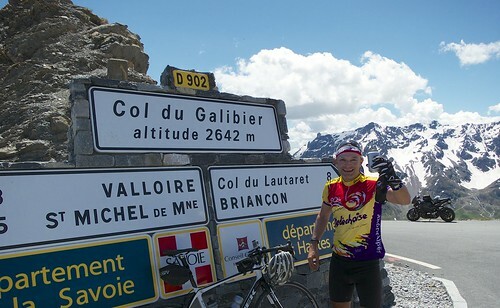 But it would be a shame to visit the first week in June and miss Galibier.